Be sure to check the detailed agenda to ensure you have the right date, time, and room for your presentation. 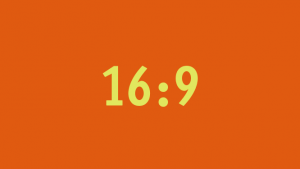 All PowerPoint presentations must be setup in 16:9 format. Click here to for instructions on how to setup your presentation in 16:9 format or download a blank PowerPoint template for your presentation. Please bring your presentation on a USB drive to facilitate loading the file onto the session computer. Please turn in your slides to the AV tech table in the Grand Ballroom at least 90 minutes prior to your presentation. Please Note: Friday night presenters must submit their slides via email by February 26 to Kate(at)MeetGreen.com. Presentations will be run by the AV technicians and the presenter will have a slide advancing remote. Presenters will have a confidence monitor and speaker timer visible from the stage. Keynote presenters will have the option of using the podium microphone or a lavaliere microphone. Panel presentations will have table microphones. Presentations will be video recorded and archived by Fair Trade Campaigns. Please go to the room in which you will present 10 minutes prior to the start of your session. A PC Laptop with PowerPoint will be available on the podium. No audio will be connected to the podium laptop. A projector and audio connection via HDMI or MiniDisplay Port are also available if you choose to present from your personal computer. A Fair Trade Campaigns volunteer will be seated in a reserved seat near the podium to assist with monitoring your presentation time. The volunteer will alert you at the following increments: 10 minutes remaining, 5 minutes remaining, 1 minute remaining, times up. Due to the robust program, it is critical presentations remain on-time. If you encounter any issues, please alert the volunteer and they will expedite the arrival of the AV technician.